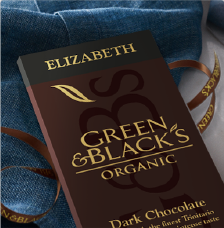 A handpicked collection of dark and milk chocolate G&B's Organic Classic and Milk Miniature Collections alongside Velvet Edition bars. 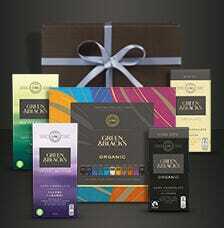 Sweet new flavours including Raspberry & Hazelnut, Orange & Almond, Mint, Salted Caramel chocolate in a modern grey hamper basket. 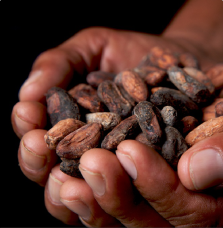 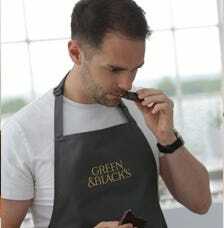 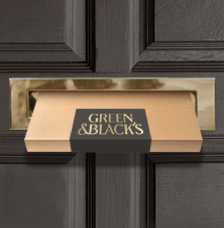 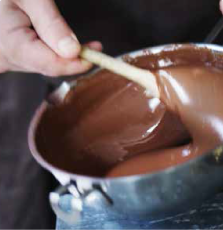 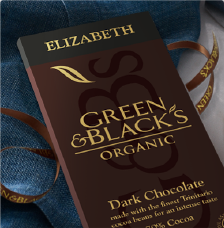 Green & Black's Velvet Edition is a 70% dark chocolate that is rich in cocoa content, yet exceptionally smooth in flavour.